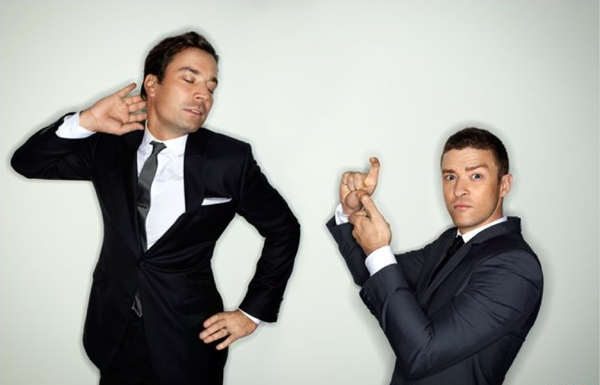 JT will appear on Jimmy's Fallon's Tonight Show, Wednesday, Sept 9. It will be his first visit to Fallon’s “Tonight Show” since premiere week. On the same evening, Ellen DeGeneres and musical guest Macklemore & Ryan Lewis are scheduled to appear....so it's guaranteed to be a blast. Can you ship it in UK ? This picture is so fun ! I'm dying a little inside knowing I can't be in the audience. Can't wait to see the show tomorrow though. Overly excited and screaming now! Love Justin & Jimmy together! History of Rap #6 please?!?!? I'll be standing outside. Find me Justin!!! I would give almost anything to be at this show! !